The Havanese is a member of the Bichon family of dogs, which also includes the Bichon Frise, the Bichon Bolognese, Maltese, Coton De Tulear, Tsvetnaya Bolonka, Franzuskaya Bolonka and possibly the L�wchen breeds. These dogs were developed from the now extinct Mediterranean Bichon Tenerife, which was introduced to the Canary Islands by the Spanish and later to other islands and colonies of Spain by sailors. The Havanese itself developed uniquely in Cuba, either as the result of said Spanish sailors, or as is often believed by native Cubans, as gifts from Italian traders to open the doors of wealthy houses to their goods. The "Little Dog from Havana" even travelled back to Europe where it found brief favour in the late 19th century as a circus and trick dog and a court companion. As part of the Cuban Revolution, many trappings of aristocracy were culled, including the pretty but useless fluffy family dogs of the wealthy land owners of Cuba! Even though many upper class Cubans fled to the United States, few were able to bring their dogs, nor did they have the inclination to breed them. 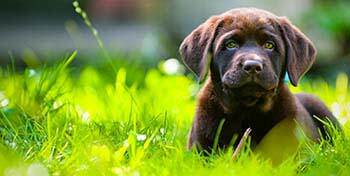 Indeed, when Americans became interested in this rare and charming dog in the 1970s, the gene pool available in the US was only 11 animals. With dedicated breeding, as well as the acquisition of some new dogs of type internationally, the Havanese has made a huge comeback, with recognition by many major kennel clubs and one of the fastest growing registration of new dogs in the AKC (%)in 2004. They have also suffered from a certain level of trendiness due to rarity, good temperament, and publicity by such famous owners as Barbara Walters. 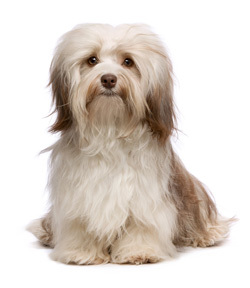 The Havanese has a silly, friendly temperament which is unlike many other toy dog breeds. 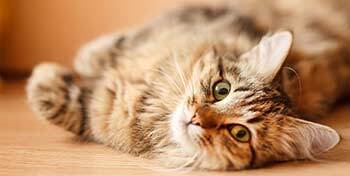 It is at home with well behaved children and most other pets, and is rarely shy or nervous around new people. Clever and active, they will often solicit attention by performing tricks. The Havanese is a very people oriented dog, and does not do well with long periods of separation from their family. Because of that, they are not suitable for people who work long hours or take frequent trips. 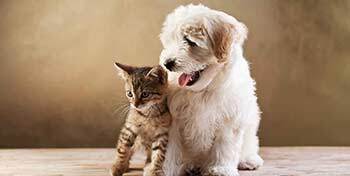 They often have a habit of following their humans around the house, even to the bathroom, but do not tend to be overly possessive of their people, and do not usually suffer aggression or jealousy towards other dogs, other pets or other humans. The Havanese's love of children stems back to the days when it was often the playmate of the small children of the households to which it belonged. Unlike most toy dogs, who are too delicate and sometimes too nervous or aggressive to tolerate the often clumsy play of children, the Havanese, with care, is a cheerful companion to even younger children, and this is no small part of its growing popularity around the world.